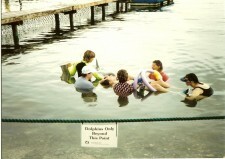 …a therapy-treatment workshop-in-the-water with Dolphins. You will be in a group of approximately four Manual Therapists. You will be working with and treating each other. Rebecca, Susan, or another Primary Therapist, will supervise your efforts. The following are the key features of your Dolphin activities: See Dolphin Programs for a general discussion of these categories and see Program Descriptions for a complete list of inclusions in your Dolphin Therapy Workshop Retreat package. Learn the benefits of doing treatments in a gravity-free type-of environment; The water gives you three-dimensional freedom. You will be impressed with and discover ways to work with the energetics of the water and specifically the incredible forces of the ocean. Learn how to be with and work with Dolphins in a therapeutic water environment. Improve and refine your palpation skills. 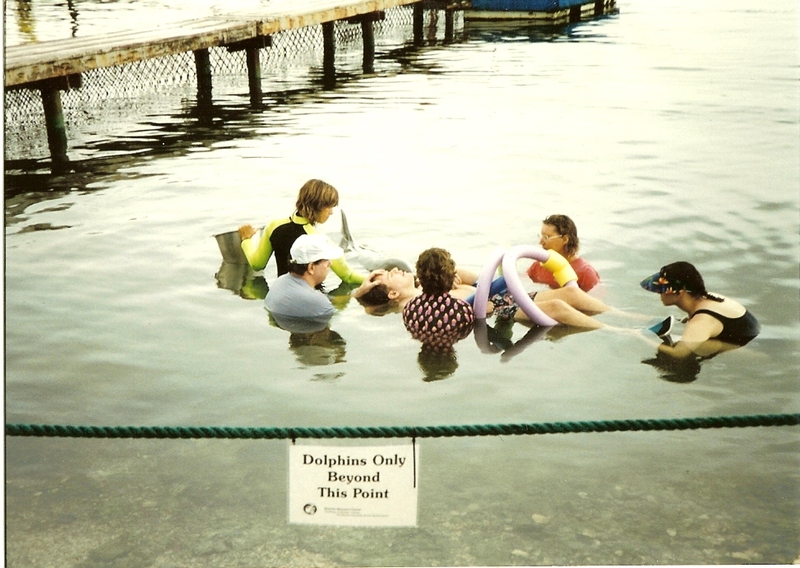 Experience a group training, by a Primary Therapist, in the water without Dolphins. You will take turns in your group as one becomes the “patient”, one becomes the “Primary Therapist” and the others are the Assistants. Enjoy up to 4 hours per day for four days of therapy in the water with Dolphins. You will take turns in your group as one becomes the “patient”, one becomes the “Primary Therapist” and the others are the Assistants. Last year I broke the small toe on my right foot. I immediately went to see Dr. Welling. By applying herbs and using some of her techniques to treat bone bruises, I was able to heal faster than I would have ever believed possible. I have had previous bone breaks, but I never healed this quickly.